can help avoid a lot of potential misunderstandings and can help us all communicate online a little better. This article serves as a general best-practices guide for operating an email account in today’s online world. 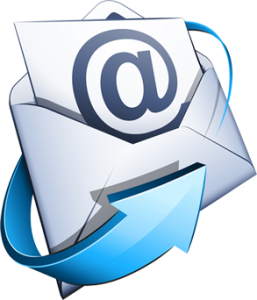 – Choose your main email address wisely: It will determine (in part), how you’re perceived. – Use and update your Antivirus software: Make sure all your security software is up to date to avoid spreading spam and malware unknowingly. – Set up/correct your system clock: To make sure your message aren’t sent from 1976. – Update your email password regularly: You’d be surprised at how many email accounts have been unknowingly compromised over long periods of time simply because of static passwords. Reset your password every 1-2 months if possible. – If you’re emotionally charged up/upset at the time of typing the email, perhaps take a break from the screen, walk away and reflect first before you type and send. – Acronyms: Take into consideration that the recipient may not know every emoticon and acronym under the sun. – Structure your emails in a readable way; bad grammar and improper sentence structure gives the impression of poor education and will spark concern about being taken seriously. – Don’t use ALL CAPS or TYPe LiKe THiS. Typing in caps gives the impression of screaming/shouting and mixed-case typing is annoying and not cool. – Signatures: This may be the last of your worries; but signatures affect the tone of every email you write. Make them as short as possible. Don’t use images and social networking icons (despite how cool you think they are); you’ll likely have problems with different mail clients. See Smashing Magazine’s excellent guide on The Art and Science of the Email Signature. – Review before sending: Always take another quick look at the content and who you’re sending to before hitting the almighty send button. – Keep emails short and to-the-point: don’t intimidate readers with huge blocks of text. – Use short and to-the-point email subjects: Put some consideration into the Email Subject, never use vague titles or “Hi”, Hello” etc as they’ll likely end up in the recipients trash/spam folder. – Don’t use bold or red text to emphasise your email’s tone: doing so can (and probably will) cause ambiguity, misunderstanding and general annoyance on the recipients end. – Let people know their email has been received. If someone went to the trouble of writing you a lengthy message and you can’t get back to them right away, let them know. – Always check your trash/spam folder first before getting upset about someone not responding to your email. – Plain text v. HTML: If you’re unsure, send emails in plain text rather than rich HTML – not everyone can see your prettily formatted emails the same way you do. – Autoresponders / Out-of-office replies: If your customers and/or contacts rely on your quick response, make sure you let them know before you switch on your autoresponders. Also don’t forget to add yourself a reminder to switch it off when you get back. – Regardless of what is right and wrong; emails get stored and unknowingly forwarded all the time – take extra care in what you write and always keep this in mind. – As above, forwarding a private email is copyright infringement, a breach of privacy and outright rude – always check with the author first! – DO NOT list all your contacts in the To: or Cc: field. What gives you the right to expose your contacts addresses to strangers? – If you’re forwarding to multiple people, use the Bcc: field – this will protect their email from being shown to other recipients they don’t know – privacy first, always! – If a friend puts your e-mail address in the To: field with others you do not know, ask him/her to stop exposing your address to strangers without your permission. – Don’t forward random stuff unless you’re 100% sure the recipient is interested in the content. – Don’t forward without first editing out all the forwarding information – this means email addresses (especially), headers and commentary from other forwarders. – Political/controversial issues: Be careful here; the recipient may not appreciate/agree with your point of view. – Reply To All: Never use this unless you’re 100% sure all recipients are interested in the dialogue. – Include a courteous greeting and closing; a few injections of “thanks” and “please” can go a long way. – Configure your email client to show your From: field. First Name, Last Name; both properly capitalized. Not in all lower case; not in all caps. This will help to make sure your emails look legitimate instead of being misidentified as spam. – Ensure the Subject: field is clear and readable and reflects the point of the email. – Never send emails with unannounced large attachments without first getting approval from the recipient. Especially in the mobile computing age… Imagine receiving an email with a 10MB+ attachment on your mobile phone with pay-per-MB 3/4G usage. – If possible, use file-sharing software such as Dropbox or Box for big files/attachments. – If you’re sending files created by 3rd party software (Photoshop, Illustrator, Excel); make sure the recipient has compatible software to open them first. PDFs are industry standard now; so use them when possible. See this infographic if you’re not convinced yet. – When sending large attachments, zip them first! I would consider a “large” email anything over 5mb. For a guide on compressing your files, see this page.